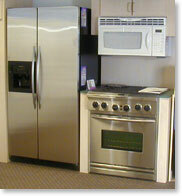 Appliance Repair Tech School - Learn Appliance Repair and Become a Certified Appliance Repair Technician Today! Appliance Repair Tech School is located in Sunny San Diego, and is now open to teach and train the prospective technicians of tomorrow. We are dedicated to changing the image of appliance repair technicians and make the experience that customers have when they have an appliance repaired by a technician, a great experience, not a learning experience in their home, on their appliance. you will get at Appliance Repair Tech School! appliance repair training schools do, and train in a classroom! training a prospective technician can attend. full of students that leads to confusion and lack of full understanding. appliance repair diagnosis and repair! Effective way to learn appliance repair! of your fixing appliances in customer's homes! The information provided herein is for information purposes only. No offer is made to enter into employment or a contract of any type between you and Appliance Repair Tech School(or its subsidiaries and affiliates) and/or the franchisees who may receive your information. Appliance Repair Tech School accepts no responsibility for errors in the corporate profiles, response data, or otherwise, and no warranty of any type is made. Your response constitutes an inquiry to attend the Appliance Repair Tech School and your response DOES NOT CONSTITUTE AN APPLICATION FOR EMPLOYMENT. Your response is voluntary and constitutes your consent to the release of your information to the Appliance Repair Tech School (and any division thereof) whose profile you have selected. Submitting your information indicates your acceptance and agreement to these terms.